As the world’s most northerly capital and one of the most compact – Reykjavik, the ‘Bay of Smoke’ – never fails to surprise, at any time of year. Blending Nordic heritage with modern, and distinctly unique style, this vibrant city can be reached in less than 3 hours from many UK airports. On this small group tour be wowed by natural wonders and northern lights. Travelling with an expert guide enjoy the scenic sights during the day and hunt the elusive aurora at night. Combine stylish accommodation, thrilling sightseeing, festive celebrations and the chance to see the northern lights. Explore Iceland's wild west – and beyond to sublime Siglufjordur and Lake Myvatn in the north on this two-week self-drive. 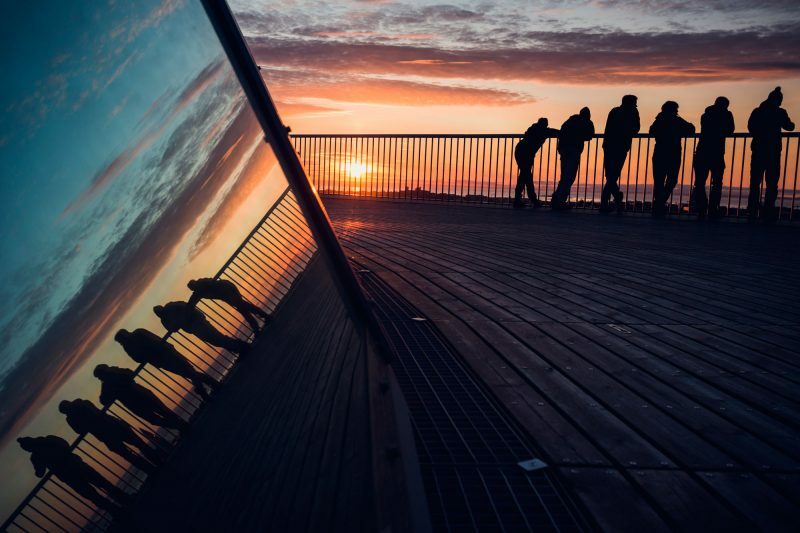 You can easily explore Reykjavik on a independent city break or spa getaway, but we recommend that you experience this intriguing city as just one element of your Iceland adventure. For what makes Reykjavik truly special is its proximity to a wealth of scenic wonders. Whether you choose on an escorted tour, where you will be led by an expert guide or prefer to explore at your own pace on a self drive, making use of our exclusive digital travel guide, iDiscover, combine urban chic with natural beauty. 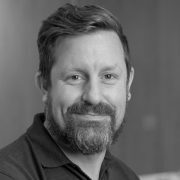 Iceland’s capital is just a 45-minute drive from the international airport at Keflavik, and is situated in the south-west corner of the island. Extended days under the midnight sun make this a very popular summer destination but with the prospect of sightings of the northern lights, winter also has a special draw. 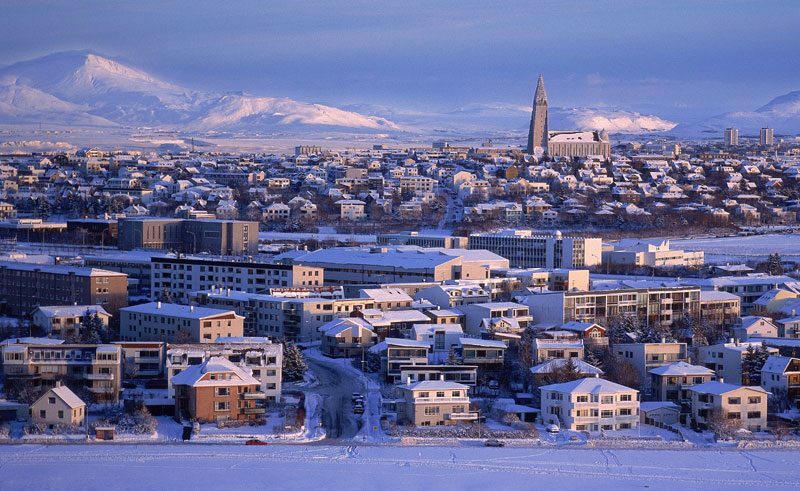 This is a city with a ‘small and friendly’ appeal yet with everything you would expect from a modern city; Reykjavik is an ideal short break destination in its own right. But visitors, no matter how long they have here, shouldn’t miss an opportunity to explore beyond the city limits where nature most definitely rules! Reykjavik is set on a peninsula, surrounded by several hills that provide stunning viewpoints of the moody Reykjanes and Esja mountains beyond. Full of life and local colour, the city hosts international festivals and sporting events but also has a lively culture of its own. There are museums to commemorate just about every interesting facet of the country and its history; galleries and concert halls that play host to an incredibly talented artistic community; a national opera and theatre together with shops and boutiques that range from the chic to the outrageous. Award-winning restaurants pride themselves on creating sensational dishes including the freshest seafood and mouth watering Icelandic mountain lamb – and in some wonderfully romantic settings. There is a lively cafe scene both day and night, perhaps not surprisingly since coffee is the national drink. Weekend nights are the time to join in Reykjavik’s legendary pub and club culture, but plenty of stamina is necessary! One of Reykjavik’s two most prominent landmarks is Perlan or ‘the Pearl’ which overlooks the city from the top of Oskjuhlid Hill. Six large, silver circular tanks hold naturally heated hot water for the city and above the tanks a glass dome houses a revolving, world class restaurant. At night a bright light shines skywards from the tip of the dome. Inside the building you’ll often find a craft fair or art exhibition to stroll around but once you step onto the outdoor viewing platform you’ll see why this is such a popular place to visit. Vying with Perlan for the most distinctive building award has to be Reykjavik’s tallest, the centrally located Lutheran church. Beautifully sculpted out of concrete and finished in 1986, the building is said to mirror nature’s own basalt columns. For wonderful views over the city, take the lift to the top of the 250 foot tower. This is the original and main shopping street in Reykjavik, running east to west across the city. An eclectic mix of high fashion, Icelandic handicraft and book stores as well as quirkier offerings and a more favourable exchange rate are very tempting! In addition, Reykjavik has two more internationally styled shopping malls, Kringlan and Smaralind. Austurvollur is the name given to the square in Old Town Reykjavik. Filled with flowers and outdoor coffee drinkers in the summertime, this square is surrounded by brightly coloured buildings, the city’s oldest church Domkirkja, the Parliament Building and elegant art deco Hotel Borg. Separate from the commercial harbour, this is where visitors congregate to head out to sea on whale watching trips. Moored old fishing boats provide great photo opportunities. This state-of-the-art museum presents 1,200 years of Iceland’s cultural and social history and is well worth a visit even if it isn’t raining! The Culture House and Reykjavik Museum of Photography are also recommended. Although this translates as ‘the pond’ it is best described as a lake, which is located in the centre of town. It has a fountain and an abundance of birds, very willing to make friends in exchange for some bread. A world-famous attraction is just a 30 minute drive from the capital. This surreal powder-blue, steaming lagoon surrounded by a craggy jet black lavascape is indeed a sight not to miss and to swim there is an unforgettable experience. 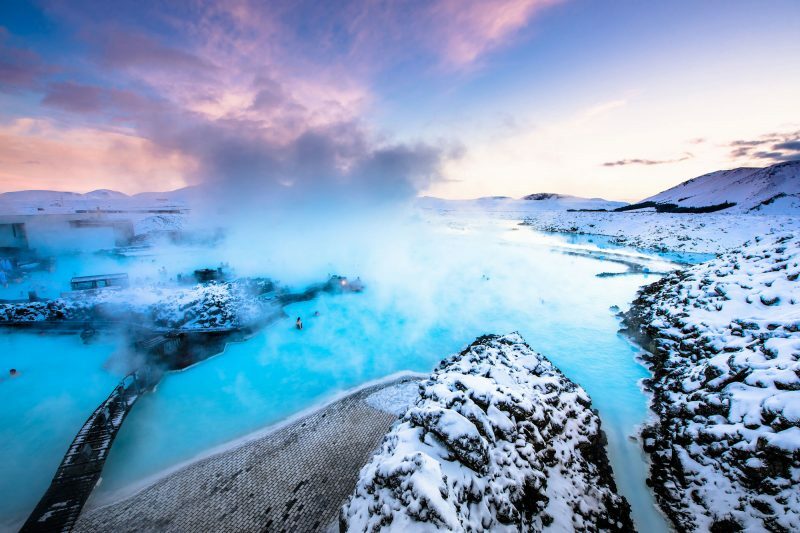 The Blue Lagoon can offer a very pleasant detour on the way into Reykjavik from the airport at Keflavik or when returning to the airport at the end of a holiday. 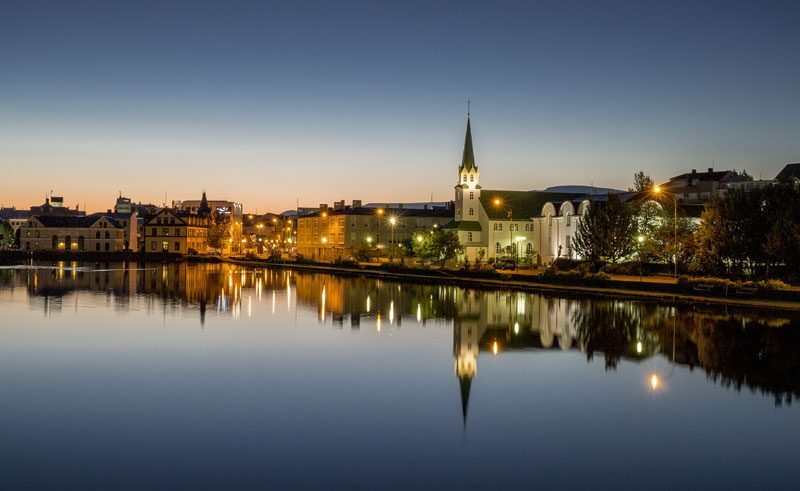 An entertaining coach tour which introduces visitors to the capital city of Reykjavik, this is a good option for a first day in this cosmopolitan centre. Accompanied by a guide, learn how the lava caves are formed and discover the beauty of both stalagmites and stalactites. 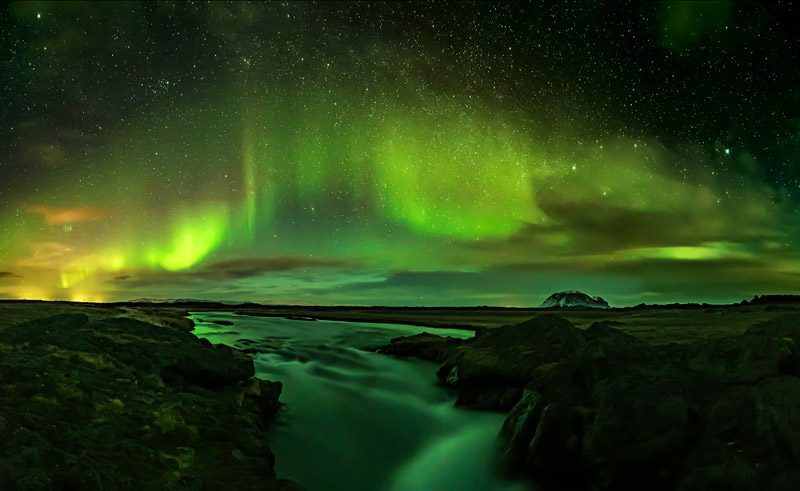 Leaving the bright lights of Reykjavik behind, this excursion takes visitors to look for the northern lights from the unusual perspective of the sea. White-beaked dolphins and minke whales are commonly sighted off Reykjavik's coast, while other species, such as humpback and orca whales occasionally make an appearance. An island whose whale-rich waters are world-famous, a journey out onto the ocean on a whale watching excursion. In the vibrant centre of Reykjavik, Alda Hotel offers stylish rooms and excellent facilities. This 89-room hotel is located in the historic centre of the city, on one of its oldest streets. A 104 room ultra-modern hotel, the Arnarhvoll boasts stylish Scandinavian décor throughout, running on a colour scheme of black, red and chrome. A stylish hotel, the 200 room Hotel Plaza is found in the heart of the old town, next to a wide selection of restaurants, shops and nightclubs. This ultra-stylish, 251-room hotel, part of the Hilton Group, is a pleasant 20 minute walk from Reykjavik city centre. A first-class hotel, the 312 room Grand Hotel Reykjavik is an ideal choice for visitors to Iceland who demand excellent service and facilities during their stay. Superb value for your money, this 252-room hotel is for guests looking for simple yet comfortable accommodation. A myriad of shops, restaurants, bars and museums are all found within short walking distance, and the welcoming harbour is a close jaunt away. 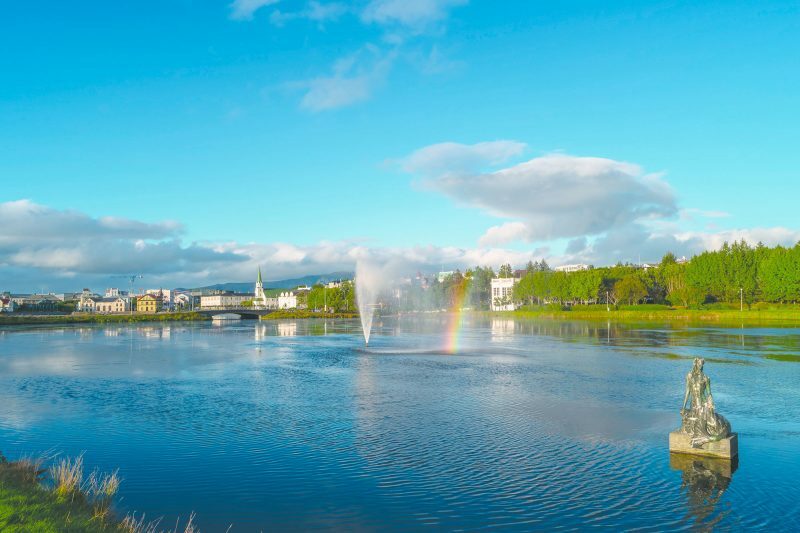 Situated close to Laugavegur, the main shopping street of the city, Fosshotel Raudara's hallmark is friendly service in a relaxed atmosphere. Centrally located, many of the city's museums, galleries and theatres are within easy walking distance and there is ample free parking available for self drive clients. A fresh and funky hotel with a lively vibe in a great downtown location. Tucked away on an alleyway just off Laugavegur street, this is a boutique property within easy reach of many of the capital's main highlights. Hotel Klettur is situated a short walk from the heart of Reykjavik.